I live in a tourist town and one of our “things” is clam chowder. So on my first visit to this spot, I sampled one. And then two. And then three and four and the next thing you know, I’m entirely stuffed on multiple one tablespoon servings of clam chowder. Pitiful, I know. But then I turn around to see the holy grail of clam chowder – served in a bread bowl. Did I just see clam chowder in a bread bowl?! As if the best (and free) clam chowder in the country wasn’t enough, you can get it via a sourdough-like vessels that not only eliminates a dish (mom’s dream come true), but is edible and tastes GOOD?! Like my town has a “thing” for clam chowder, the Crumbs family has a “thing” for bread. We like it. A lot. Homemade bread doesn’t last very long in our house, and since my schedule has been a bit too busy to squeeze in several hours together, Mr. Crumbs has recently taken it upon himself to dig through the Crumbs archives and learn how to bake bread. I’m documenting this on Instagram by the way, just in case he ever disputes it. Witness for yourself his renditions of Rosemary Olive Oil Bread, Parmesan Italian Baguette and Beer Bread. It’s really, really good (WAAAY better than store-bought). It’s really, really cheap (like, as little as 25¢/loaf cheap). Ok, so #3 hasn’t always been true. There was a time when I was terrified of yeast and wanted nothing to do with it. I would purposely go out of my way to make bread that DIDN’T need yeast, just to avoid it. Which you know, will only get you so far in the yeast-bread-making world. Then one day I got over my fear (at the request of Mr. Crumbs) and made bread. Yes, it really is that amazing. But I get that you might have the same fear of yeast that I once had. Yeast kinda sorta has a mind of its own – and we’ll talk more about that soon – but I feel so strongly about homemade bread that I don’t think yeast should stand in your way. Which, with one minor change, can become a bread bowl. Awesomesauce. There is no kneading. In fact, kneading ruins the bread. Awesome news for the soon-to-be yeast-loving crowd. The first rise is overnight. While you sleep. High five for schedule-friendly. Each recipe makes just one small loaf, which is technically what the “artisan” movement is. Buh-bye mass produced rectangle loaves. Hello beautiful round loaves of deliciousness. However, in the name of transparency, real foodies might find just one teeny tiny issue with this recipe. It calls for all-purpose flour. Now, before a revolution ensues and my real foodie card is stripped away, I’m a firm believer in using whole wheat flour whenever possible. I’m known to sneak it into things like pastry crusts and cookies – foods that ordinarily call for all-purpose flour because of taste and texture. And let me tell you, this is no easy feat! But little did I know, Hodgson Mill makes this type of flour (and many others) and they do this without passing the cost on to us as consumers. Literally, they’re one of the most affordable brands of flour on the market! They start with the highest grade whole grains, produced domestically wherever available. They have over 100 products certified non-GMO, with more added to the list all the time. The majority of their flours are certified organic too. They use solar panels and wind mills to power their headquarters. Crumbs is excited to team up with Hodgson Mill this month to help you overcome the fear of yeast, enjoy the process of baking bread and bake healthier foods for your family. 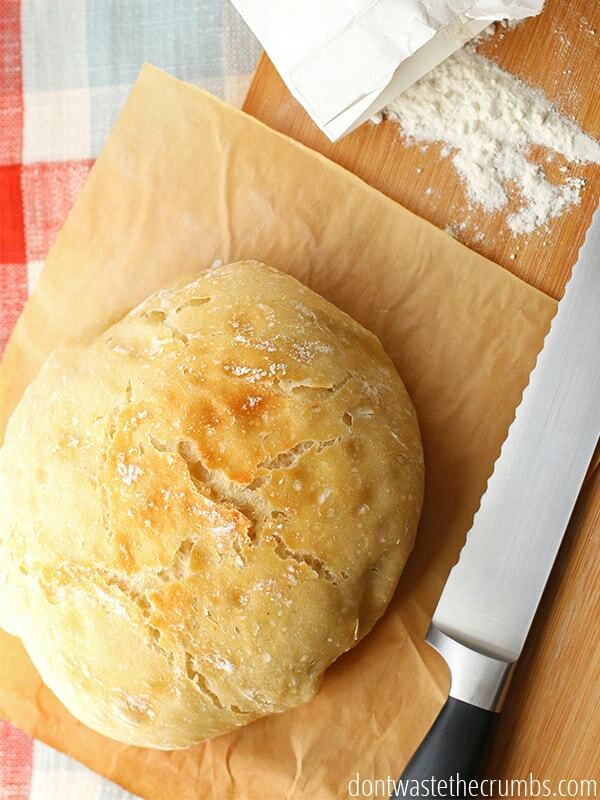 It all starts with this delicious No Knead Bread!! PS – If you’re wondering where you can find Hodgson Mill products, just check your local grocery stores (the ones that DON’T require a whole paycheck). Combine flour, salt and yeast in a large bowl and stir to combine. Add water and mix well. The dough will be hard to stir and shaggy, not smooth like traditional bread dough. Cover with a towel and let rise overnight, 8-18 hours. The dough will bubble and rise. After the dough has risen for 30 minutes, preheat the oven to 450F and put your Dutch oven or oven-safe pot (that has a lid) inside to preheat. Do not put the lid in the oven. Preheat for 30 minutes. When the dough has rested for an hour, and the pot has preheated, remove the pot from the oven. Carefully lift the dough from the surface and place into the pot. If your pot is stainless steel and not lined, you can line it with parchment paper first. Replace the lid and place the pot back in the oven. Bake for 30 minutes with the lid on. Remove the lid and bake for another 15 minutes, or until the top is golden-medium brown. Allow to cool completely (at least 30 minutes in a spot where air can flow freely above and below). ** To turn this recipe into individual bread bowls, divide the dough into two balls before allowing it to rest for 1 hour. Use two smaller oven-safe pots (with lids) and proceed with the remaining directions as written. To cut the tops out, cut like you would the top out of a pumpkin: angle a sharp, serrated knife both down and in towards the center of the loaf. Take care not to cut too far down, otherwise you'll poke a hole through to the bottom. Cut out the top and either serve, reserve for homemade croutons or breadcrumbs. This bread is super sturdy, which makes it not only awesome for holding soup, but great for for grilling sandwiches or when you need something hearty for heavy sandwich fillings (like a Reuben). We made this recipe with entirely all-purpose, then again with only whole wheat. The whole wheat version doesn’t taste bad by any means, but it is definitely denser both in texture and flavor. Total cost of No Knead Bread is $0.69 per loaf! 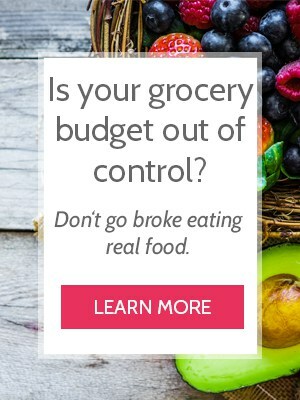 Compare that to $3-4 per store-bought loaf and imagine how much you could save each year! What’s your level of experience in making bread? Did you, or do you, have a fear of yeast? Do you have any advice for those who are new to making bread? 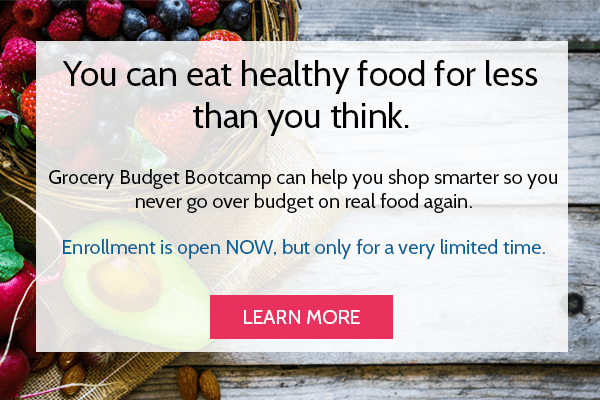 This post is sponsored by Hodgson Mill, a family-owned company whom Crumbs is proud to partner with. As always, I would never recommend anything on Crumbs that I wouldn’t recommend to a close friend or neighbor, and all opinions here are my own. Have you tried doubling this recipe? I have not, but I have no doubt you can! The only issue is having a bowl big enough to hold that much dough as it rises. But if you have one, go for it!! Use a large pot if you don’t have a bowl multipurpose things. why do you have to cut the top of the bread like a pumpkin, is this necessary ? Hi Nancy – that’s for making soup bowls, but I can see how that would be confusing. I’m fixing that step right now. I have doubled this recipe and never use a pot to bake. I put a pan of water on the bottom rack of the oven while it heats,a nd for the duration of the bake. I place the dough on a greased sheet pan with cornmeal or sesame seeds as a barrier. I’ve never had an issue, and the bread is free to expand. I also usually rub the crush with butter as soon as it exits the oven for a softer crust. Thanks for the very useful tip, Rebecca! I don’t have a pot that’s oven proof, so your advice was invaluable! Happy hol’s! What size does the oven safe pot need to be? Is it metal or ceramic? Hi Shelly! For one big loaf, we use the large stock pot that comes with a cookware set, maybe 5-6 quarts? The one you would choose to make spaghetti in. For smaller loaves, you can use the medium saucepan, about 3 quarts. Not the teeny tiny ones, but the next size up. I hope this helps Shelly – I checked but our cookware didn’t have the size on it! you simply say if it is metal okay but then if its stainless steel to use parchment paper …I would suggest using parchment paper in no matter what it is…AND you could answer the person’s question above about the volume of any of your cookware by simply measuring water in a large measuring cup and dumping it in until it gets full! I used a big cast iron frying pan with parchment paper (sprayed with cooking spray before plopping the bread in) and it worked splendidly. As someone who find baking bread kind of scary, this sounds like a great recipe to try! 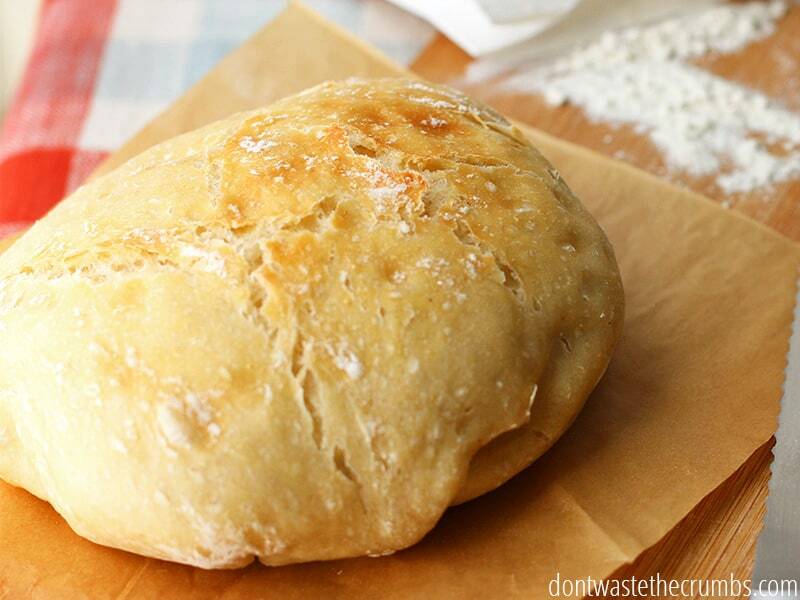 You can also bake this type of bread in a slow cooker! 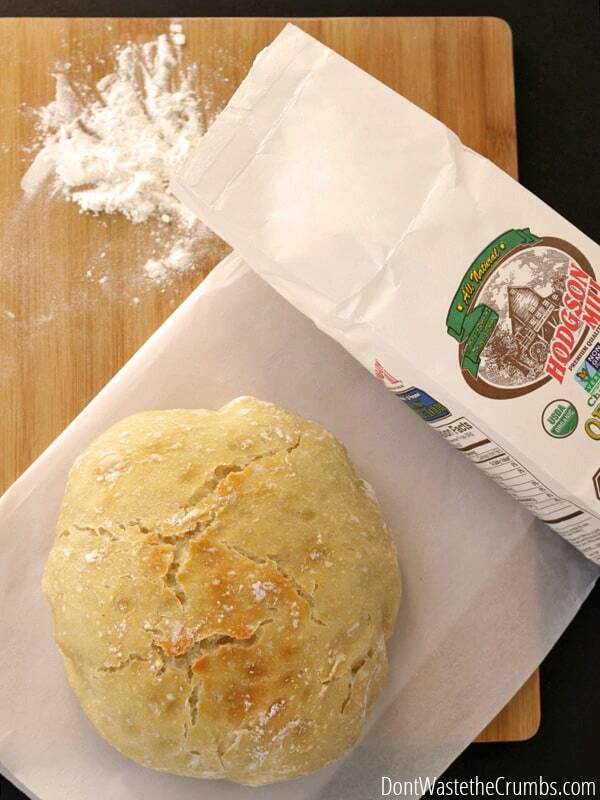 Put parchment paper in the slow cooker, put your dough in, put the lid on, and turn it to HIGH. Cook for about an hour. If you want the top crust to get brown, put the loaf under the broiler for 3-5 minutes. Thanks, Kaylee! I was planning to try this in a slow cooker since I don’t have an oven-safe Dutch oven and wasn’t sure how my slow cooker insert would do in its place. I’m glad to have directions instead of trying to wing it! Hey Tiffany! I just discovered your blog a few days ago and I LOVE it! 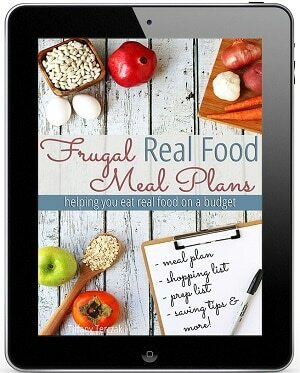 Finally a frugal blogger that focuses on health and does it all without using a suffocating amount of coupons/rebates. Anyways, I saw you love Trader Joe’s and Costco (who doesn’t amr?! )…have you checked out Vitacost.com? They have a lot of good deals on organic whole foods (especially when they have BOGO deals on their store brand). I get my coconut oil, honey, apple cider vinegar, and other shelf stable staples from them. 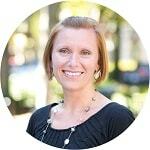 Thanks Tenley, and welcome! I have BRIEFLY looked at Vitacost, but not enough to come to a conclusion. I’d love to look more though, and do some price comparing. 😉 Thanks for the suggestion!! I make a loaf of bread each week with bread flour. I used to have a fear of making my own bread, but I got over it after I got a perfectly shaped and risen loaf. This looks great. I’ll have to give it a try. Such a wonderful feeling, isn’t it Rachel! I think you’ll like this recipe too! This does not seem like enough yeast—is there any chance you meant 1 tablespoon and put one teaspoon instead? I used brand new yeast and the dough didn’t rise or bubble much at all. Any ideas what I could have done wrong? Thanks. Nope, I’m sure it’s just 1 teaspoon! Can you tell me what type of flour you used? When we used whole wheat, the results weren’t quite as nice. Hmm, maybe I am just expecting a higher loaf because sandwich bread is typically taller. I used unbleached flour…I’ll try again tonight. It still tasted god, just dense. your pic does not look like it was baked in a container,,can you just put it on a cookie sheet? Hi Rose! It was definitely baked in a pot. 🙂 I haven’t tested it on a cookie sheet before, but if you do, I’d love to hear how it turns out! 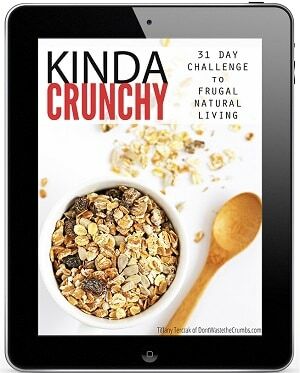 This recipe sounds delicious – pinning! also what type of yeast is used? I’d like to know what kind of yeast, too. Rose and Lisa – active dry yeast. I’m updating the recipe now! Sincere thank you from a yeast novice!! Could u use a cast iron skillet? Hi MJ! I haven’t tested a skillet, so I’m not sure. If you try it out, I’d love to hear how it goes! Hi! I’ve now made this recipe multiple times- it is my husband’s favorite! Every time, I’ve made it in a cast iron skillet (the 12″ size, with lid), and it has worked out perfectly!! The loaf gets a nice crust on the top and bottom, and tastes incredible. I have also tried brushing the top of the loaf with olive oil and sprinkling coarse sea salt and/or flaky salt on top before baking, which was delicious. My husband (who’s from Italy) says it reminds him of the homemade bread he gets from the little bakeries on the corner in his small town outside Rome. Great recipe!!! I tried it because I don’t have a Dutch oven, but my skillet doesn’t have a lid. I tried stacking another skillet upside-down on top of it, but air got in (my skillets are two different sizes). Suffice to say, my bread did not rise as well as I had hoped. I also realize *now* (after my loaves are made) that I wasn’t really paying attention when I read the recipe and put the “usual” 2 1/4 tsp of yeast in instead of 1 tsp. Can this bread be baked on a ceramic pizza stone? Hi Donna! Honestly, I’m not sure. Part of the rise and cook through is attributed to the fact that it’s a closed environment (pot with a lid). At the same time, we’ve baked a different loaf straight on our own ceramic pizza stone without any issues. I’d love to hear how it turns out if you give it a shot!! Can you use a Dutch oven or pit with a glass lid to bake this. If not can you suggest something that would do? Tin foil maybe? I’m not sure what a pit is Jeri, but a dutch oven with an oven-safe lid, and a glass lid will both work! Can you help me understand why this won’t work with fresh milled wheat flour? If not 100%, would it work with 50/50 AP/WW? Hi Kimberly – we tested with 100% freshly milled flour and it didn’t rise nearly as much. The loaf was very dense and brick-like, and nearly impossible to even cut. If you prefer whole wheat, 50/50 isn’t a bad way to test. If anything, you can make croutons! Hi, I’ve made yeast bread for about 45 years but never like this. I am going to try it, I don’t see any type of prep for the pan. So what keeps it from sticking to it? The intense heat of the pre-heated pan crisps it up instantly so it doesn’t stick. I’m not sure if that’s the most scientific explanation, but it seems to be true. In any case, we bake a similar recipe all the time and have never had a problem with it sticking. Marty – it’s also partially because of the enamel coating on the pan. If you use a stainless steel pot, you’ll need to use parchment paper. Hi Jackie! You will need a lid, so avoid the crock pot if you don’t have an oven-safe lid (I learned that one the hard way). The silver soup pan might work if you grease, but I haven’t tested without the paper so I honestly can’t say for sure! I would like to substitute Spelt flour (or Quinoa flour, etc.) or and other less refined grains. Any suggestions? Thank you for your time..AND sharing! This kind of bread IS my “drug of choice” !!! Hi Michaela! If you can make your own spelt AP, that would work for 50% of the bread. Spelt in general rises out, but not up, so you need another grain for the up. A 50% whole wheat with 50% spelt wouldn’t be too bad, but making your own AP would be best for at least 50% (the germ and bran weigh the bread down). Quinoa doesn’t have gluten, so I wouldn’t use any more than 25% of it in this loaf (and not in combo with the spelt since it’ll detract from the up rise too). Many people I know can’t have gluten which rules out most all bread with wheat flours. I have seen almond and coconut flours which are supposedly gluten free. Could these be used in place of normal flour? I read such great talk about quinoa so I tried it. That IMO is way far from tasting good. LOL I wish I hadn’t bought two bags of the stuff. Could I use a glass casserole dish with lid for making this bread? Yes, you can use a glass casserole dish with a lid. As for switching out with the wheat flours, I can’t say for sure. Both coconut and almond flour are gluten-free (and grain-free), but as such, they don’t have the same baking properties as wheat flour. I used sprouted grain spelt flour (Berlin brand), and it worked well. I did make sure to pile the dough fairly high before the second rise, as spelt tends to spread. This sounds awesome, especially the add-on about using a crockpot. I actually have a crockpot, but not a big enough pot to cook this in my oven. I am excited to try this, but was wondering do you think it would work to add in other ingredients like rosemary, parmesean cheese or fresh garlic or would that totally mess things. Also if I wanted to do half whole wheat and half all purpose would i need to change the cooking time? I am pretty new to baking bread thus all the questions. Hi Shayna! Spices and cheese would be just fine in this bread – consider yourself good to go! Going 50/50 with flour won’t change the cooking time, just the texture and flavor of the outcome. No worries about the questions – keep them coming! Trying for the first time today. Seems pretty wet after rising for most of the day and previous night. Is that normal? Yes, this is a wet dough compared to traditional yeast doughs. Be sure to flour your hands before you move from rising spot to pot and you’ll be good! Hi Tracy! Out of the pot for sure. As soon as it comes out of the oven, dump it out and set it on a cooling rack. 🙂 No question is dumb! Thank you, Tiffany! I was wondering the same as Tracy about the cooling. I love and still use my old Vision cookware by Corning and the glass really holds the heat so I’m really glad I read your post about the cooling outside the pot. I made my 2nd loaf using 2 cups of wholewheat and 1 cup of unbleached flour. It was just as great as the 1st loaf of all unbleached flour. This time I didn’t let it rise quite as long as before. Still over night about 10 hrs. This recipe is soooo good and easy. Thanks!! I mixed the dough one night (7/3) around 10PM and baked it the next day (7/4) around 2PM. I actually think the dough started to ferment!! The aroma while it was baking had a slight “sourdough” smell to it. I couldn’t wait to try it because I love sourdough bread. It was delish with a slight tang. It is great tasting toasted, as well. I used white unbleached flour and the dough was pretty “sticky” probably because I waited so long to bake it. I love this bread recipe!! Would LOVE this in a gluten free version…any possibilities??? Have you ever used Spelt flour for this recipe? I haven’t had the chance to Amber, but if you do, I’d starting with a 50/50 ratio. Spelt has a lot of the gluten making the dough expand out, but not much that makes it expand up. You’ll need a bit of up too, so I’d use a spelt/wheat combo. I am a little worried about using my pans as they have glass lids. Can I use regular loaf pans for this recipe? Or maybe I can use foil instead of a lid? I haven’t tried that Carla, but it’s definitely worth a shot! Another idea is to use foil and another pot, inverted on top. The goal is to trap the heat inside, so try whatever works!! Have you tried making this with flavors? Like Rosemary, garlic or the like? I would love to use this recipe if you think that might work? I haven’t yet Janet, but it’s high on my to-do list! Add the flavors at the beginning, roughly 1 Tbsp of spice (or to taste). Let us know how it turns out!! Can you use bread machine yeast? And can you let it rise overnight in the fridge? I don’t know about bread machine yeast but I do know yeast won’t multiply in cold temps. In fact I’ve had bread deflate a little when I take the towel off to put it in the oven. The bread won’t rise until you take it out of the fridge and put it in a warm place. I have tried this recipe 3x now and love it! The ease of preparation, the smell of it bakinng, the crusty, the chewy bread – we dip our in EVO w/ Balsamic Vinegar, salt & pepper, sometimes with some dried basil or oregano. Mmm-mmm! The first time I made it with 50/50 Whole Wheat and all -purpose, not good-for you flour. The 2nd time, I oiled the dutch cast iron pot wth garlic olive oil, but didn’t notice that flavor come through and the texture wasn’t as nice. All three times I’ve used my expired (4 years ago!) yeast that’s been stored in the fridge. Why spend more $, and it worked! Now I’ve ordered some Hodgson Mill 50/50 Whole Wheat/ White Wheat flour and look forward to trying it. Thanks for reminding me of the specifics on “healthy” flour. I’m so glad you like it Ginger!! You’re welcome on the reminder, and how awesome that your yeast is still going strong! Dipping artisan bread in EVO w/balsamic is one of my favorite appetizers. Ok, who am I kidding – I could make it a meal!! My dough didn’t rise overnight and I was wondering why. I thought maybe I had the wrong yeast. Then I read this comment. I put the dough in the fridge, since I once made overnight bread using a different recipe and the dough went in the fridge. I didn’t even notice that this recipe didn’t say to put the dough in the fridge. Thanks for the question/answer! I will try this recipe again. I loooove this recipe. For an even better crusty crust, after you place the dough in the hot pot, cover it with 1/3 cup of whole wheat flour then follow recipe. Great tip MC – so glad you love this recipe! Just made this for the first time last night… oh. my. gosh!!! My 9-yr-old son and I ate the whole thing with dinner!! It was absolutely perfect, and so incredibly easy!! This will definitely be out go-to for bread from now on, no more store-bought junk for us! And I will definitely be trying the EVOO/balsamic vinegar idea… hmm, wish I had some more bread.. So glad you liked it! We devour this as well… which makes me think I should start making a double batch, lol! Wow!!!! I have recently moved to Qatar, (where the bread is just awful) I made this last night, and baked it this morning. I used a greased stainless steel pot with a lid, and put some tinfoil over the pot before adding the lid, just to make sure it was sealed. My husband went to work a very happy man, my kitchen smells fantastic, and i am over the moon, there will be fresh bread every day from now on, thank you so much Tiffany you have saved us. I made this last night and baked this morning. I wasn’t sure that it was going to turn out but it is great. I used whole wheat flour. I added some grated cheese and herbs to the top before I put it in the oven. Looks just like something I would have gotten in a bakery! The only thing I found was the bottom of the loaf was kind of tough and hard to cut through. What would be the reason? I will try regular flour next time. Definitely a recipe to repeat. Hi Lydia! Whole wheat flour will generally give a slightly tougher crust, but it shouldn’t be too bad. I would try shaving off 2 minutes of the baking time. The loaf will continue to cook slightly as it cools, so you should be good to go! I love this bread! But each time I make it the bread mixture is still very “wet”. Is that normal? It’s a mess to handle, but it tastes good! I find this to be true also. I just use oil on my hands first (instead of flouring them) and that works good with handling the sticky dough. 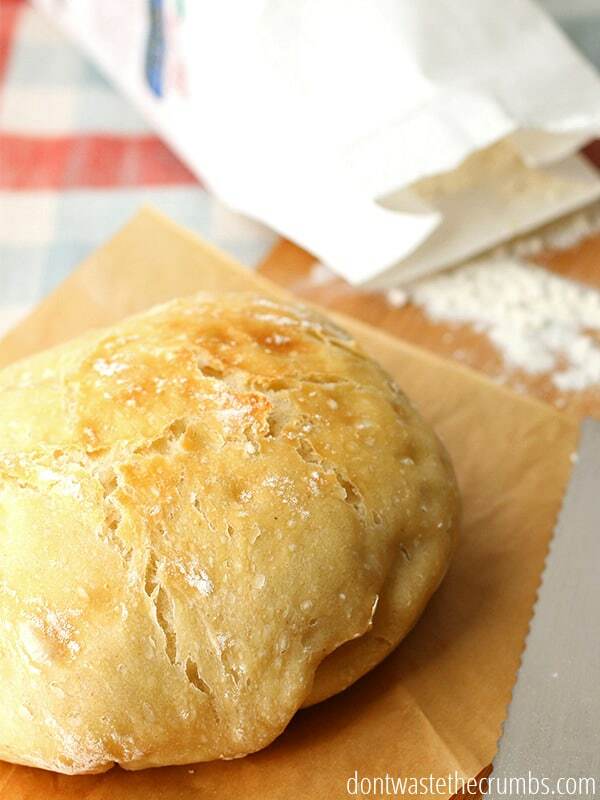 The bread is so great tasting that it’s worth a sticky dough. Amy – usually the biggest culprit of no rise is bad yeast. I’d suggest proofing first, then continuing with the steps just to make sure your yeast is good! I’ve never made bread before and I just mixed this up. 1 planned to bake it in the morning, but I didn’t read through the directions before I started. I don’t have a large enough covered dish that will go into the oven. What would you suggest I try? I have one 3 qt corningware dish, but that is the largest oven safe, lidded container that I have. Would baking it on a cookie sheet be ok? Michelle – you need something with a lid for sure. If you only have one, I recommend dividing the dough into 2 rounds and baking them one at a time! now all i need is a recipe for homemade spinach and artichoke dip. any suggestions? Can I use whey instead of water? I have some I need to use up. Sorry if dumb question. I’m new to bread making! Yes you can Anna! I haven’t done it myself, but it should work and yield a slight sourdough taste. If you still have extra whey, freeze it! Where I live dry yeast is not that common. If I would use fresh yeast instead of dry yeast, do you think that would work? And how much would I need? Hi Birthe! I haven’t had any experience using fresh yeast – I’m sorry! I’ve made bread before and I am a little surprised that there is no proofing the yeast here. I would understand if it was instant yeast but this is active dry yeast and I always thought it should be activated in warm water. Just making sure this doesn’t require any proofing before I make it, thanks! We make bread so often Kimberly that we know our yeast is still good. If you haven’t used your yeast recently, I’d recommend proofing first and then proceeding with the recipe. But if you’re a regular baker, just mix it all up and go! I must be doing something terribly wrong. The dough after rising won’t stay in a ball. It falls out flat :(. Help! Oh my Amy, could it be the yeast? I would try proofing it first to make sure it’s still good! This is some of the best tasting bread I have ever made! I cannot believe it is so simple, but so tasty! I am not a newbie to bread making, but I had very little time and wanted to make some for a friend that is having surgery today, so I decided to give this a try, I’m so glad I did! I will definitely be making this again, thank you! This recipe is foolproof and delicious. The bread is sturdy and the overnight fermentation really brings out the flavors in the flour. Thanks so much for this! How large will this loaf be when it is done? Can I use a stainless steel cookie sheet, and cover it with a foil pan? I don’t think any of my pans can handle 450 degrees, or have a lid….. Thanks you! The size depends on the container as it will expand until the can’t anymore (either by the sides of the dish or otherwise). You could try a cookie sheet and cover, but I honestly don’t know what would happen if it didn’t have the sides of something to contain the bread and aid in the rise (since if it can’t go out, it must go up). Do you have a bit pot that you use to make spaghetti? I use that normally. So long as the lid isn’t plastic, you should be ok! It worked! I used my 8-quart pot, but the lid had a plastic handle, and I smelled melting plastic while it was baking (it didn’t actually melt). Tomorrow I will use the same pot, but will cover it with foil. My son loved the bread and wants to take some back to college this weekend. Thank you! You’re welcome – so glad it worked! A cookie sheet, if it’s wide enough, might work better than foil (just easier to handle IMO). Good luck! Could I add garlic and herbs to this recipe? If so, when would be the best time to add them? Yes and right at the beginning! Just wanted to tell you that I have made this recipe multiple times, and every time it’s amazing. Thank you. I’m having pumpkin soup tonight, and we prepared this bread this morning for this afternoon. It didn’t quite rise as much as I’d like, but it’s still wonderful. Soooo yummy! I was very nervous using my pot in the oven, but it was fine. I switched out one cup of all purpose for white wheat and it came out perfect!!! So glad you liked the recipe Catherine! All right- going to try making bread for my first time ever today with this recipe. Thank you! Dumb question that I don’t think has been asked yet about yeast. Once you form it into a ball and let it rest for an hour (right before putting it in the oven), can it sit for more than an hour? Or must it be one hour? Thank you!! I don’t see why having it sit longer would be a problem. Several hours would be fine. If it was too long, it might dry out a bit and you might need to give it a reshape. If you enter the data into a database such as that run by myfitnesspal.com, you can work out that the calories will be somewhere in the region of 1650 calories for the whole loaf, obviously dependent on what base ingredients you use, and whether you add anything else. Then you can approach it one of two ways. Cut it into the number of slices you want and treat each as a serving, to calculate how many calories per serving. Or you can weigh the bread, mine usually comes out to around 600g. Then when you cut a slice, thick or thin, you can weigh that and calculate how much it would be. 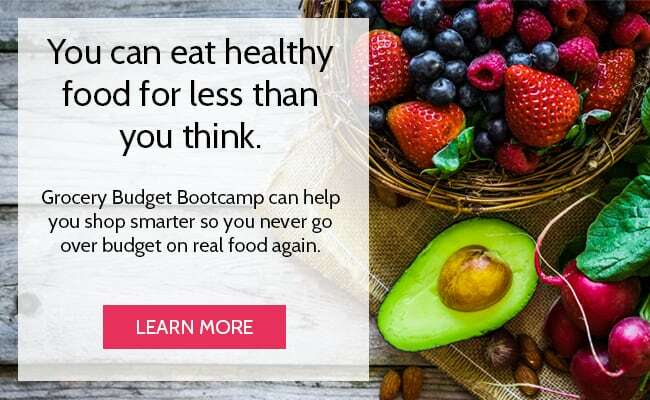 In this case, you’d need to divide the whole recipe by 600 servings to come up with a per gram figure, or you could obviously adjust that to pounds and ounces. Just remember it’s not completely accurate, but as a guesstimate, it will be pretty close. Thanks for chiming in Sarah! thank you I will do that…. I am bread-making beginner and really want to try this recipe. The yeast requires being dissolved in 1/4 cup of water. How does this affect the the amount of liquid required by this recipe? I’ve never dissolved the yeast first, just chuck it in dry and then mix it up with the other ingredients. It works perfectly. Heather – if you want to dissolve the yeast in water first to test its potency (this is called proofing), just reduce the other water by 1/4 cup, or however much you used to dissolve the yeast. I started making homemade bread last year when I got my bread maker. But I got tired of that pretty quick and wanted something more indepth. I came across this website and this wonderful bread recipe. I can honestly tell you that I could make this everyday and it would be eaten – ALL… EVERY DAY. WOW! Thank you for the incredible compliment Dreamer! Winner of a recipe! Thank you. What an awesome story! Thank you so much for sharing Michela, and I’m thrilled you enjoyed the recipe! I made this bread yesterday. I found the dough way too moist using the water called for and way too salty. I have to admit, it does have potential. I plan on making it with less water and salt. My dough was so soft it was impossible to do any shaping. I’ve been making bread for decades, so the glowing comments puzzle me. Like I said, I’ll try again another time. I don’t have a dutch oven, could I make the loaves smaller and use cast iron skillet to cook in? You can definitely make smaller loaves, but you do need something with a lid Danielle in order to make this come out the way it’s supposed to. I prefer to weigh my ingredients and somehow must have had wrong info ( 120 grams/cup of bread flour) because the dough was very wet. I continued on with the first rise but I had to add more flour (another 20 grams/cup). It still seemed quite wet but I decided to see it through to the end – and I’m glad I did. This is a delicious bread and we have already decided to make for a lunch we are having later this week. If I could ask, should you happen to be editing this recipe sometime, if you could include the equivalent weights and to include the instruction to remove the bread from the pan to allow it to cool. Great recipe, delicious bread and many thanks. I have been making sourdough bread for years but a new small business venture is keeping me too busy for the high maintenance process of sourdough. I tried this recipe today and OMG it’s so close to being a sourdough that my lunch guests thought it was! I used whey from my greek yoghurt making instead of water and left it for 24 hours before cooking, It had a quite sour taste as the whey had obviously started the fermentation process. Winner of a recipe and the perfect quick and easy replacement for sourdough. Next time I’m going to chop up some olives and add them with some herbs to replicate a fave sourdough recipe. Ooh – what a great idea Robyn to use whey and to let it sit longer! I bet the olive/herb combination would be delicious. So glad you enjoyed it! I have been making this bread for years, it is the best! A tip I have found…. wet your hands instead of flouring them to turn the dough out and form the ball. I never had any luck with flouring my hands as the dough just kept sticking but the wet hands allow me to form a nice dough ball without any sticking to my hands. I then sprinkle a tiny amount of flour on top while the dough is waiting to go into the oven. Hi Juliane – The lid creates a steaming effect for the bread to bake in and helps to give it that super-crust on the outside without burning. Do you have a cookie sheet that’s big enough to cover a pot? You’re welcome to try it without a lid, but the results won’t be the same. Anyway, just wanted to say thanks for the awesome recipe! Will definitely make again. Oh my! Oh my! Oh my! I am challenging myself to use ingredients I have on hand and not rush to the store. Found your recipe while looking for overnight artisan bread. My daughter, family and friends are coming by tomorrow on their way to play in the snow and wanted to make toasted cheese sandwiches. So…I followed all except, I only had quick rise yeast so used a bit less as per other recipes I make in my bread machine. I used my big Tupperware bowl with the lid on loosely for overnight. (It was 21 degrees out last night so I put the bowl, etc in the living room near the wood stove!) The lids to my pots are only good to 350 degrees so I had to use a cookie sheet for a lid. (A note in the recipe to take the bread out of the pan as soon as it is out of the oven would be helpful). Waited as long as I could to taste it. Waiting overnight for bread is like waiting to catch a fish~patience… Now I have to restrain myself from eating anymore as I need the bread for tomorrow. Very good, so easy. Next time I will add some garlic cloves and maybe rosemary or parmesan cheese. So many options from here… PS. Read about you on your blog. Enjoyed what you shared. Went around and unplugged everything that I don’t have to crawl under over or thru to save on my electric bill. You have some great ideas…. Inspirational! Thanks. Would using half all-purpose flour and half whole wheat pastry flour be a good combination to make this better than all whole wheat? Also if you don’t have a dutch oven what else do you suggest I use in order to bake it? Don – that combination should work. Pastry is in general lighter than regular flour, but it also has added corn starch. I’m not sure how that would work in the recipe, but I’d give it a shot! Any pot with a lid will work. If it’s stainless steel, use parchment paper to line the pot first. I made the bread with organic whole grain spelt. It did not rise in the refrigerator, which I think is because 2 tsp salt is too much. It did rise after removing from the refrigerator and allowing to come to room temperature. It is somewhat dense as I would expect of a whole grain bread. BTW a comment in the recipe says it has been made with all purpose flour, while above that is the statement that only whole grain flours are used by the bake. I don’t think there is such a thing as whole grain all purpose flour. I do use all purpose flour at times, and a combination of all purpose and whole grain. I use only organic. Hi Bob! Bread doesn’t rise much in the fridge because of the cold, not the salt so much. Yeast does better at warmer temperatures. 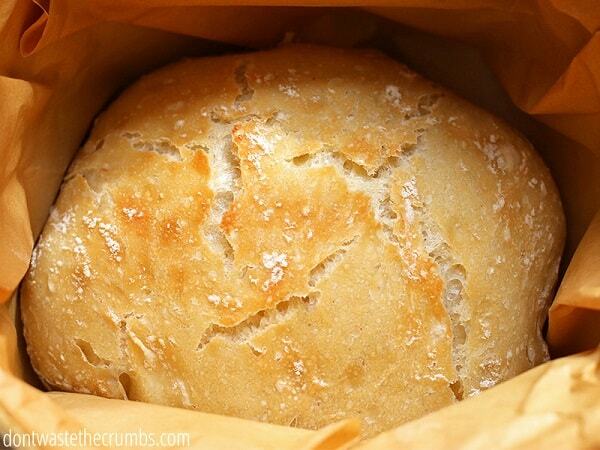 You can leave this bread in the fridge, or on the counter overnight – your choice! De nada! I’m glad you enjoyed this recipe Natalia! Thank you!!!! My husband has been dying for homemade crusty “French” bread….. I made this last night and baked it up this morning. My sons and husband munched on it all day. I wanted to say I did cook it a little differently since I didn’t have a pot with a lid that was oven safe…. so I put it on a cookie sheet and put a glass dish with clean water in the bottom rack. The point of cooking with a lid is to trap the moisture but if you cook it open with a water dish it makes the whole oven moist. Second change was I cooked it at 350 for ~50 minutes……. it looked and smelled great! It was the perfect crusty crunch, the ever so golden color, and the soft chewy inside. “just like my mom makes”….. THABK YOU!!!!!! I just set up another batch to bake tomorrow. I am thinking I will double the recipe next time then cut it in half when second raising to freeze for later/guests. You (and your blog) are my favorite thing since sliced bread ;)! Masalam! You’re very welcome Amanda! Thank your for sharing your unique cooking instructions. I have no doubt they will help other readers that don’t have an oven-safe pot! 1. Put the parchment paper in AFTER the pot preheats. If you put it in at the beginning it will burn and turn black. 2. Remember to measure and cut your parchment paper to fit your pot BEFORE you put it in the oven, because it’ll be really hot when you are ready to add the paper and you’ll burn yourself trying. 3. Spraying your pot with oil to ensure nothing sticks? Do that AFTER the pot preheats or it will burn and turn black. 4. The dough is super sticky and gloopy – it would be wise to turn it out onto a floured cutting board or cookie sheet, not the counter. What a sloppy sticky wet flour mess I made! 5. Use a sturdy pot if you use a pot – the first pot I tried was large and had a lid that could go in the oven, but was made of thin metal and scorched terribly. The bread is currently in the oven baking and after all this trial and error I sure do hope it turns out! Just wanted to let you know how I do it, it works perfectly every time. 1. Mix gloop (with a knife, just until combined), in a bowl and leave, covered with a towel, overnight (or minimum of four hours). 2. Get another large, flattish bowl and put a large sheet of baking paper in it. Onto this paper, scrape the gloopy mix carefully. Leave for another hour, covered with a tea towel. Preheat the oven with the pot inside. 3. Pick up the dough using the baking paper. Transfer this whole thing to the pot, leaving the baking paper in the pot. Put the lid on and cook for thirty minutes. 4. Take the lid off and cook for a further fifteen minutes. 5. Remove from oven and take out of pot carefully using the baking paper! I don’t have an oven going pot with a lid. I put the dough on parchment paper on a cookie pan, without heating the pan first. Placed a roasting pan containing two cups of hot water on the rack under the rack the bread was baking on and baked for 45 minutes. Perfection. Thank you for this recipe. Previously, I would bake bread every week and then, life. Making this bread has reminded me how this simple task, and this recipe couldn’t be simpler, is so monumentally important. So glad you were able to make it work Alexandra, and BIG HIGH FIVE for homemade bread again!! This bread, like your blog, is Awesome! (It sounds as if you live near my ‘hood…..my husband and I were laughing at your description of the wharf…..MB, right? Ate you still ‘local’). Thanks! Oh my goodness Conni – you guessed it!! We lived in MB for 8 years before moving to Atlanta, GA in late 2015. I still remember all my shopping tricks though, so let me know if you need tips!! I have been successfully using a Cuisinart bread machine for about10 months. Tried various recipes until I modified one to give me a version of multigrain (my favourite so far). I did a search for removing the dough to do the baking in the oven when I happened on your site. I had heard about long, slow rises but was sceptical. Yuor write up impressed me and was supporte by a visit to my optometrist who waxed lyrical and enthusiastically about this technique and the wonderful flavour of the results. finally, convinced it was worth a try, I rolled up my sleeves and used the recipe for multigrain I used in the machine, omitting a couple of ingredients to keep it simple. I mixed the flours, salt, yeast and water in a large bowl and covered it and left it overnight. I was concerned when I saw how wet the dough was, but pressed on. I used a cast iron frying pan to bake in the oven and was pkeasantly surprised at the handsome, aromatic loaf that came out. I kept myself busy for the cooling period, then cut the first slice. A bit chewier than the usual loaf. which I found preferable, and the flavour! Superb! I had to sample more, and more. Finally I had to stop myself. It is the best bread I have eaten in years, if not ever. The one drawback is the self control I have to exercise to avoid gorging on it. Thank you for sharing your enthusiasm. Hi, I love this bread, and so do all my friends and family ! I have made it many, many times, and it always turns out awesome!! They all think I’m this amazing baker, hee hee…. So that said, I want to add that if you split it into 2 loaves, you should lessen the baking time, I do 20 minutes covered, then 5 uncovered, and I drop the temperature down to 430* F. .. and that works in my gas oven. Also, I have used a clay loaf pan, like pampered chef, and covered with foil, and that works too, kinda have to make a “tent” shape, and cover as loosely but secure as possible. Sometimes we wanted to have more traditional size slices for sandwiches. So go ahead and use the other baking vessels as long as they’re heavy duty and you can cover with something like foil or other ovenproof lids or bowls, it should work! It is a very forgiving recipe. 🙂 Thanks!! Thanks for all the great suggestions Jeanne! Just baked this bread this morning. I let it rise about 12 hours and baked it in a parchment paper lined dutch oven. I just used regular old Gold Medal All Purpose flour – I will try it again with fancier stuff next time. And I *will* try this again. So easy to make and it turned out great! Thanks for the recipe. This bread is amazing! It is sso easy to make, and turns out even than Panera Bread. I can’t believe that only cost 69 cents! I’m so glad you like it James! Will making this bread with sour whey (from cottage cheese making with vinegar) work? Or part whey part water. The whey would work Alba! Wow!!! This bread is straight up MAGIC. I modified the ingredients just a touch (swapped out a little of the all-purpose for whole wheat), but otherwise followed the instructions exactly. This is my first time making the no-knead bread and so was a little curious at the gloopy texture, but it all turned out just perfectly. I’m going to get adventurous next time and use some flavors like garlic. I’m saving this recipe for future uses! I’m so glad you enjoyed this Angel! And I agree – it IS magic! I’m going to try this as an onion bread as soon as this heat wave ends here. No oven cooking for anything. But I’ll let you know how it goes once I do it. I look forward to your update Montreal! Just made this bread for the first time. Really good and easy recipe. Recommended for anyone who does not have experience baking bread. Light, fluffy and delicious bread. Thanks so much for sharing your review Eddy! Hi, just wanted to throw in my two cents worth! I love this recipe, I have used it over and over for years except I want to say that I think the temperature is too hot or the length of time is too long, because 30 minutes at 450° started to burn the bottom of the bread, never went to the last 15 minutes with the lid off but it still turned out beautiful on top, took her out of the oven at the 30 minutes. That is why only gave four stars instead of five. Anyway, thanks again and I love all the information you throw in there regarding the flours available, I’m trying to find the Hogson organic, proving to be a little difficult… But I’m not gonna give up yet! Thank you again ! Really wanted to post pictures but I see nowhere for that option? Hi Jeannie! I don’t currently have the option to upload pictures in comments – sorry! As for the oven, do you think your oven runs hot? I’ve never burned the bottom of the bread, in 4 different ovens!! But glad you found a way to make it work for you! Hi. I am a beginner baker. So I went and got myself a Pyrex dish yesterday with a lid and prepped it last night and baked the bread today. It was delicious!! I wanted to ask when shaping the dough can I use semolina flour to give it extra crunch. The only problem was that my family finished the bread before it cooled. I have just made the dough again. Hello! I just made a beautiful loaf using your recipe, doubling and subbing whole wheat flour – the only thing is that it is way too salty. Have you ever experience this before? Did I do something wrong? It didn’t double when it rose, but smelled correct before baking it. When I tasted the dough ahead of time, it tasted to salty then, too. I just started a second batch, but with half of the salt recommended. If you follow the recipe as written, you didn’t do anything wrong. 🙂 We all have different taste buds, and it’s okay to prefer it with less salt! I used to have a recipe similar to that one for overnight bread but I could put the dough in the fridge for a few days. When I needed to bake it I would just let it sit outside for about an hour and it was all good. It also meant I could prepare the dough in the evening and bake it the following night. How does this recipe work if I let the dough out on the counter for a whole 24 hours? It works okay Judith, but the yeast starts to lose its oomph. I’ve done it accidentally and the bread turns out fine, but the rise isn’t as optimal. Still good though! I have been making this bread for several years and use one cup of whole-wheat with two cups of all purpose flour. It is always delicious. I use a cast iron fry pan with a lid from a Dutch oven pot.The lid is about two inches deep and works perfectly. Great thinking to use the dutch oven pot lid on the skillet Marcene!